We manufacture tubular injection glass vials with Schott glass Germany or NEG Japan glass in sizes 5ML to 30ML with plain and screw neck. lotusoverseas(dot)com We manufacture in plain and amber colour. 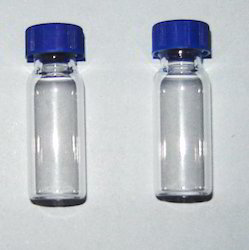 Crimp caps vials provide the tightest seal, reducing the chance of sample evaporation. The 12x32mm crimp vials and 11mm aluminium crimp caps are economical and easy to use with crimping tools. We offer our client an excellent quality range of White Glass Vials. These vials store fluids and solids. Some of their salient features are optimum hygiene level and longer service life. We offer our clients with vials made of high graded raw material by using latest technology at reasonable prices. We offer a range of glass bottles and glass vials which are been manufactured with the quality glass and is been used for storing the phramaceutical medicines. 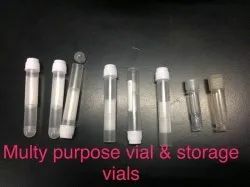 A assortment of glass vials with 1dr., 2dr. And 4 drum capacity. Our extensive product range also encompasses Tubular Glass Vials, manufactured using finest grade of glass. These glass vials are offered with plastic cap of 2ml, 5ml and 10ml to make these suitable for varied related applications. Some of their salient features are optimum hygiene level, easy to clean and longer service life.